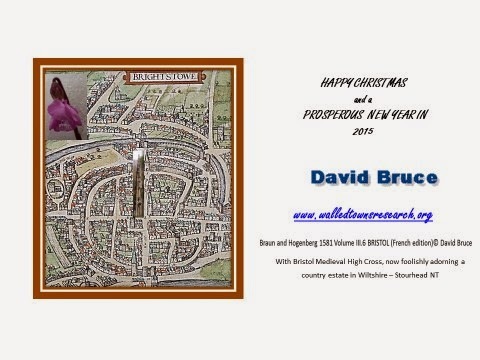 'Brightstowe' in 1581 is Bristol now and its walls are largely hidden but the Old City still values its history and its markets - the grand 25M high High Cross languishes in a garden in Wiltshire - would be great to see it back in the centre of Bristol qiute complicated to persuade both City to ask for it and the National Trust to release it. 25 Years on from Peter Osborne's creation of the Walled Towns Friendship Circle, Tenby has celebrated the founders of the WTFC, now EWT with a ceramic plaque of the Piran Declaration in English and Welsh placed on the Town Walls. 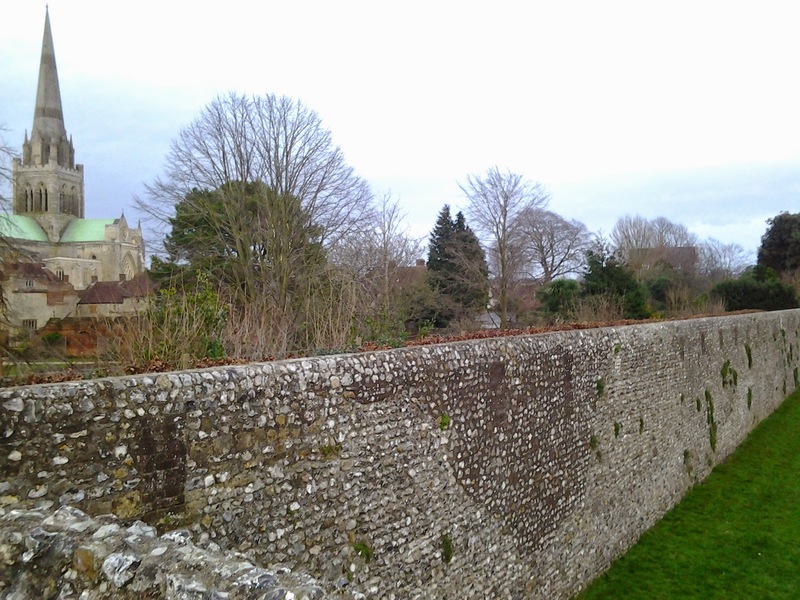 On the Thursday morning of the the Chichester Symposium, I gave a presentation on Transport in Walled Towns: Space, making SPACES, for people in walled towns. Piran has reported to the EWT at the Chichester Symposium. "As a result of Piran membership to EWT and owing to the importance of Piran declaration, its plaque can be seen on Piran walls, we are witnessing to a growing awareness of the importance of cultural and historical heritage, especially that regarding the City walls." said Piran's spokesperson - the rest of the report is available here. 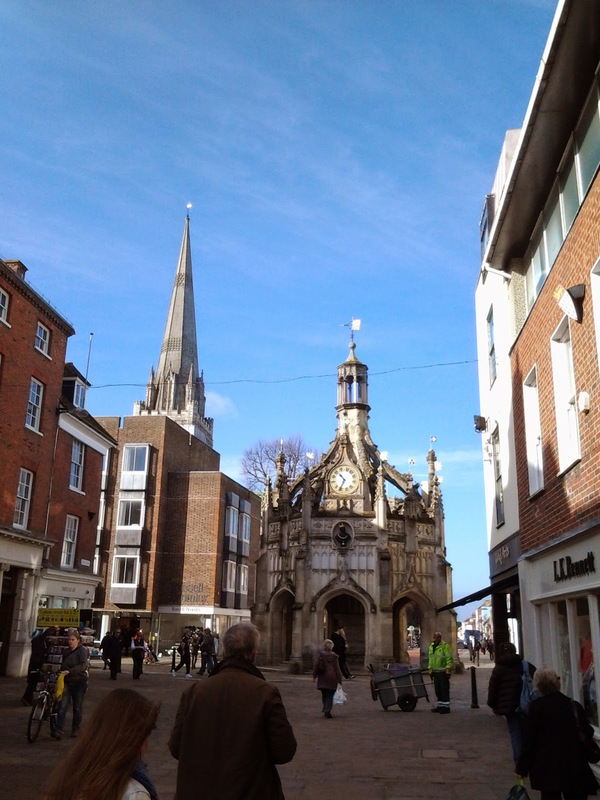 Beautiful and historic Chichester with its Roman based walls and attractive city centre, is hosting the European Walled Towns Symposium this year. You can register here now. 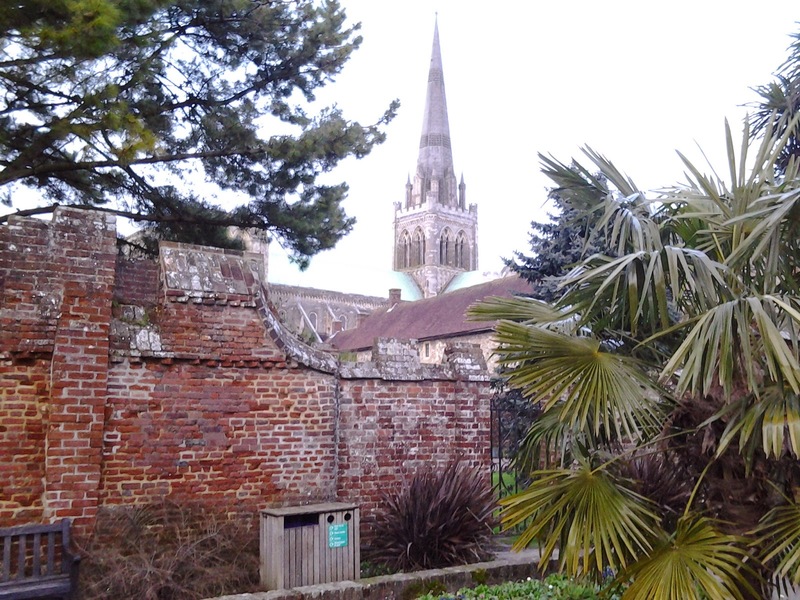 The programme will include valuable technical and cultural contributions and discussions including talks on the recent project which Chichester undertook on its walls, a presentation and workshop on European Projects and European Funding as well as a talk and discussion on transport in walled towns. Furthermore, there will be a visit to Portsmouth Naval Dockyard to see historic ships and a guided tour of the Rolls Royce car factory. In 2012, Margaret and Bernard Shaw took Berwick-on-Tweed to the very edge of Russia. In Narva, Estonia they compared the two walled border towns. Their paper, which was published by Narva will be linked here when I can get an electronic version. Here is the presentation that they gave in Narva with its extensive illustrations. The Bridges make the town - the fortifications keep both safe. More about the Royal Border bridge is linked here. 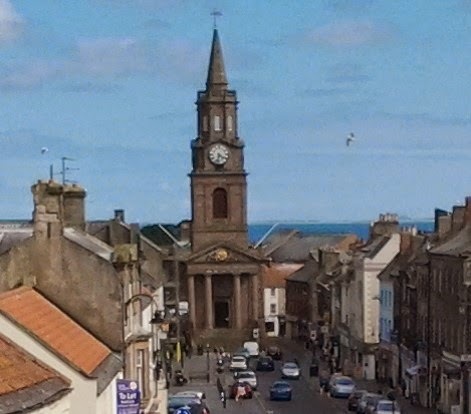 How to travel the Scottish Border in the United Kingdom from Berwick-upon-Tweed EWT to Carlisle. New Travel tip between walled towns: one an EWT. 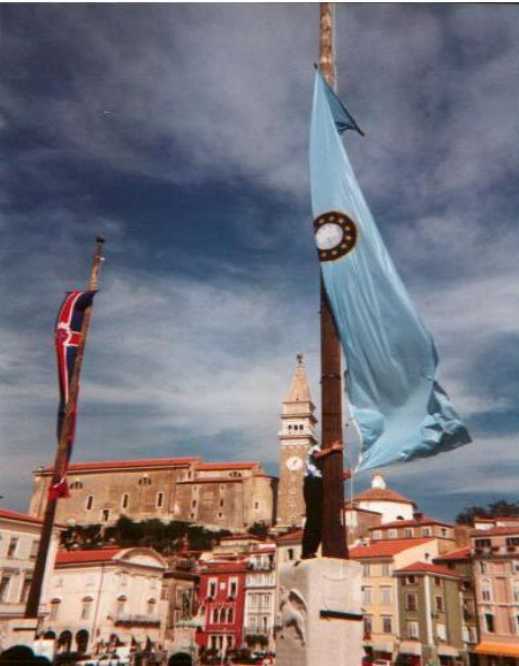 Dubrovnik (pop. 42000) is located on the coast of Croatia. The World Heritage City was historically the independent Republic of Ragusa. The marble paved mainstreet is symbolic of inter-ethnic and cultural unity. Beautifully restored since being gravely damaged in the wars of the Yugoslav succession in 1991, Dubrovnik is now again the centre of Adriatic tourism. A useful summary of its heritage and history is available in DennisRodwell’s ‘World Heritage – 38 Dubrovnik’. The complete, accessible and magnificent walls date mainly from 15th-16th Centuries and largely survived the 17th Century earthquake. Baedeker references Sud Allemagne et Autriche 1902 pp 404-5 (as Ragusa); Dalmatien und Die Adria 1929 (includes plan)pp 191-195 (as Ragusa/Dubrovnik). Photos from a DMB visit 2003, may be more later from 2011. 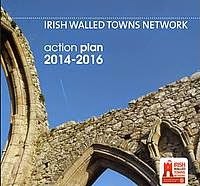 Check out the revised useful links pages for links to many networks that either have walled towns as members or might well have. Happy to publicise this for Renata Kaslakova, who hosted excellent walled towns seminar in Trencin in 2006. "Trenčín is currently facing changes connected with the relocation of the railway track directly within the city centre as part of the modernisation of the European railway corridor, with planned completion in 2016. Therefore, the City of Trenčín seeks fresh and innovative urbanistic solutions that will overcome transportation barriers and connect the historic city centre with the riverfront, giving the city a new growth impulse and enhancing its expression. The winning proposals will form the base for a new Central City Zone Masterplan, which the municipality intends to develop following the results of the competition. Interested participants can register free of charge on the competition website www.2014.trencin.sk until 4 March 2014. This is a valuable article from Histcape (EU project) website by Matthias Ripp World Heritage Officer Regensburg. "CRISIS:AN OPPORTUNITY FOR HISTORIC CITIES - built cultural heritage as a factor of urban resilience" See direct link. I am indebted to Huib Crijns of 'den Bosch for alerting me to this article. 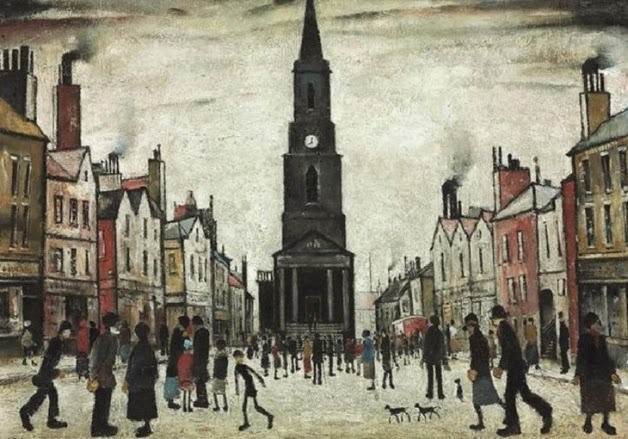 The importance of the article lies in explaining how historic cities, which have proved their resilience over centuries have features that need to be conserved to maintain future resilience. 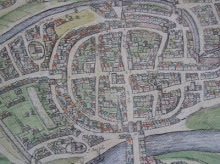 Town walls and the concentrated town centres exemplified in walled towns are classic cases.